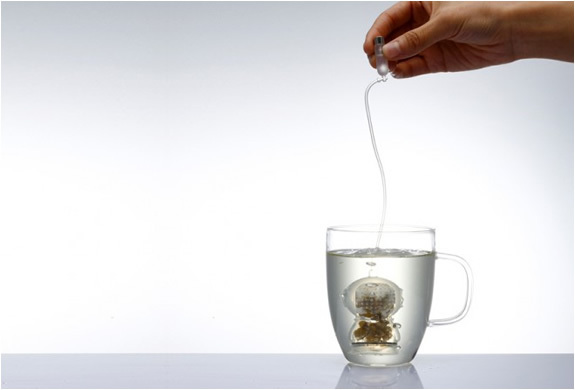 This is a tea infuser with a very original look. 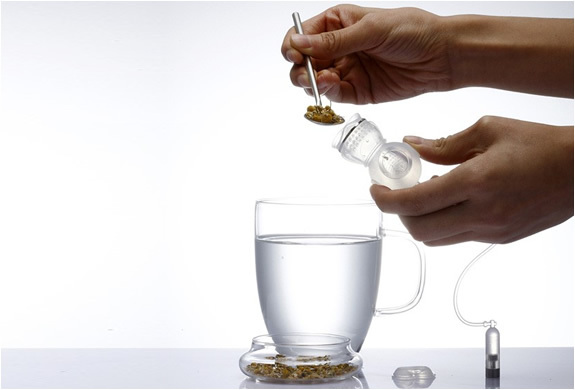 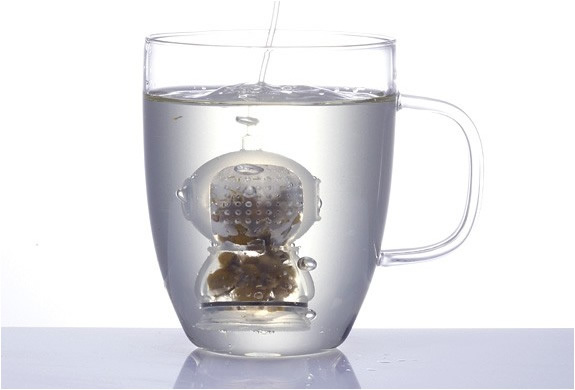 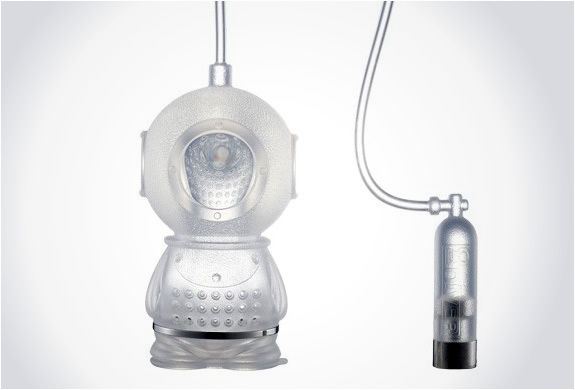 The clever design, called "Tea Diver" has the shape of a Korean traditional diver and is all made of the same silicone used to make baby bottles. 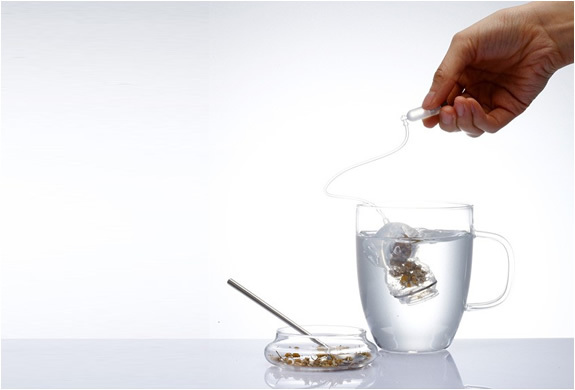 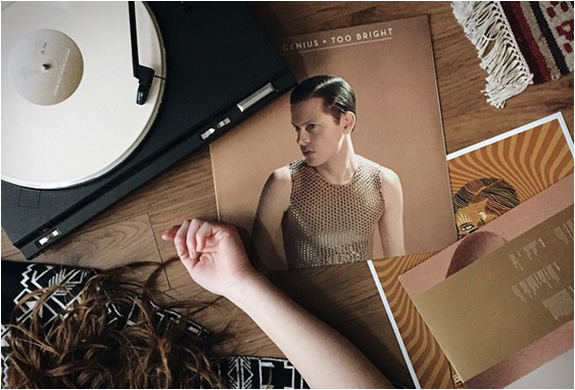 Simply put your favorite tea in the diver and enjoy a more pleasant and enriched teatime.